According to the research conducted by the AAA Foundation for Traffic Safety, Americans spend an average of 293 hours annually driving their cars. Over 86% of US households currently own at least one car per driver (28% report having more cars than drivers). That makes the automotive industry a lucrative market for an apptrepreneur to enter. 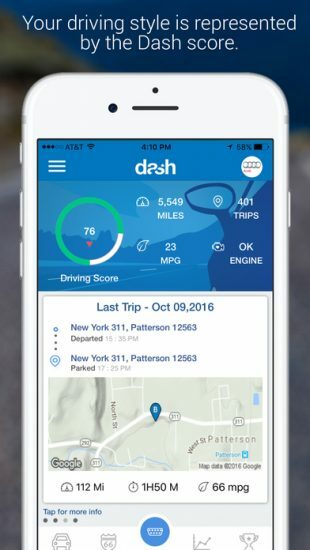 What are some of the most popular automotive apps currently on the market? 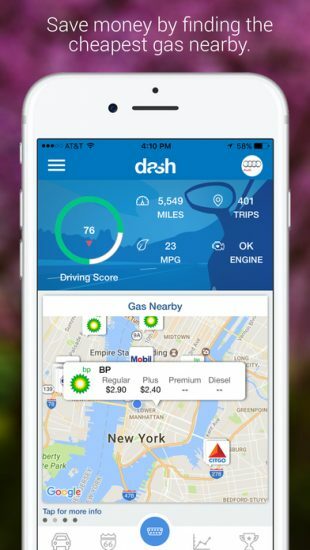 What are some specifics of custom car apps development? First off, let’s define the business benefits of building connected car apps. 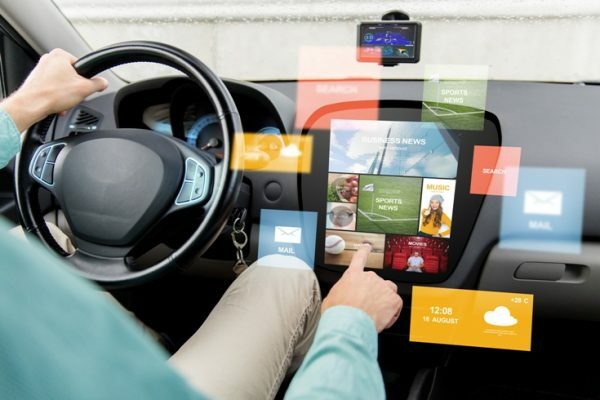 Despite the fact that the automotive IoT market is only emerging, it is estimated to be worth $82.79 billion by 2022.
the ability to augment the vehicle’s in-built capabilities with third-party tools. Monetization and demand: While most apps on the AppStore are free or come at a cost of 99 cents, automotive apps are usually priced higher. This gives businesses an opportunity to easily monetize their products. Third-party integrations and partnerships is another revenue channel for automotive app developers. By selling access to your API to other businesses, you can achieve greater ROI. You can even develop partnerships directly with car manufacturers so your devices will come pre-installed in all vehicles. 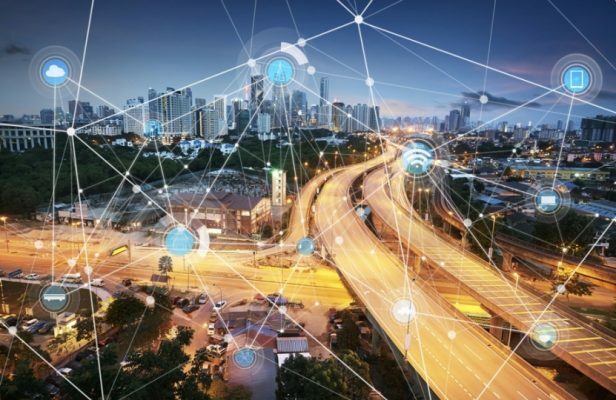 Collecting and using data: As with any IoT device, automotive products allow you to tap huge amounts of user and vehicle data. With it you can source valuable insights and tailor your product accordingly. The data can also be provided to third-party businesses operating in related domains: insurers, repair shops, roadside assistance providers, etc. The first-mover advantage is one more reason to enter this market right now. Both existing automotive businesses and users are eager to see more innovations in this sphere, so the barrier for entry is fairly low at the moment. 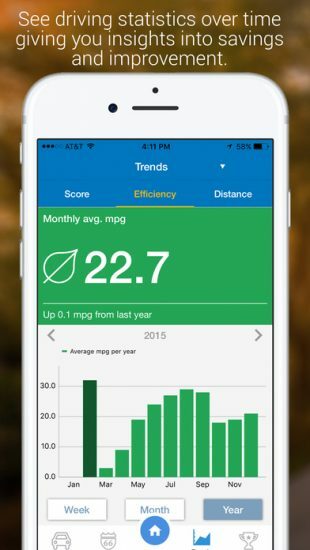 There are many ways automotive apps can level up your vehicle. 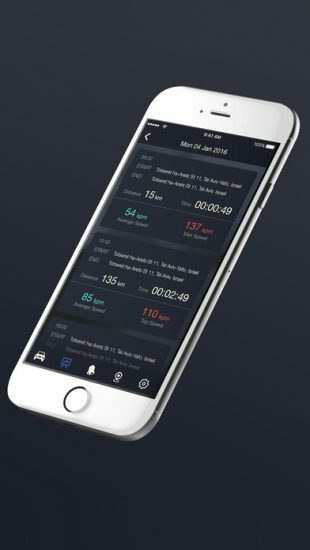 The existing examples available in the app store tend to focus on such features as GPS and navigation, safety, vehicle maintenance, fuel consumption and mileage logging, voice and gesture control, and multimedia access. Some of the best car apps currently available (according to users’ opinions) are listed below. 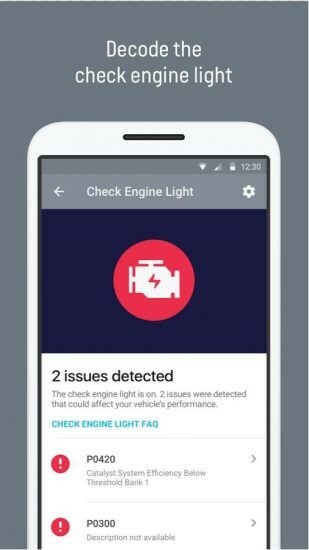 Product type: IoT, automotive maintenance app. Target platforms: iOS, Android, and web. Third-party integrations: Large portfolio of apps and services to augment the core app features. The company provides an API for businesses and developers to build custom car apps that integrate with Automatic. App monetization model: The automotive cloud platform is available for maintenance and repair service providers, and insurers (usage-based insurance, pay-per-mile insurance, safe driving incentives, and teen safety programs). Target platforms: iOS and Android. 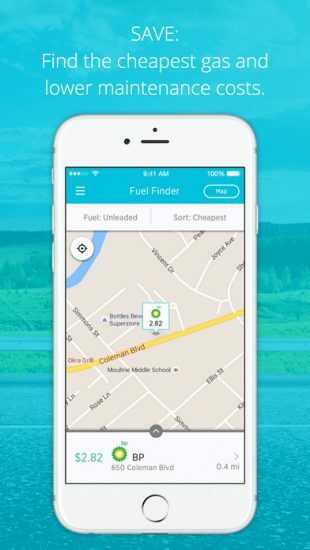 Key features: Detailed trip logs, real-time car monitoring and diagnostics, ability to locate the cheapest gas stations and repair shops nearby, social features (social media sharing, rewards, leaderboard), estimates and scheduling for car repair, and driving suggestions. Third-party integrations: Integrates with other apps using IFTTT recipes. App monetization model: Its proprietary API, Chassis, can be accessed by third-party businesses to build insurance, fleet management and after-market solutions. 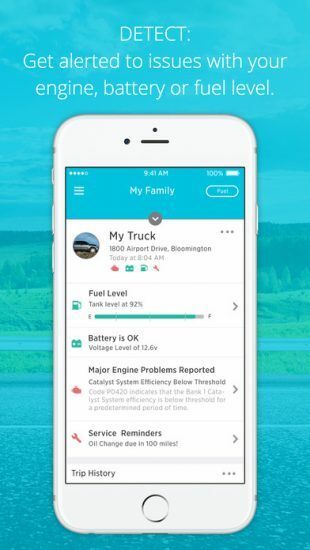 Key features: Real-time driving insights, tips, and alerts, maintenance alerts, engine diagnostics, roadside assistance, repair estimates & shop listings, real-time vehicle location, trip tracking, motion monitor (security), discounts and gas station map. Optional: in-car Wi-Fi hotspot. Third-party integrations: Connects to a number of third-party apps and services. App monetization model: There are three plans available for a user: Personal, Business and Enterprise. The Personal plan also has a family option. 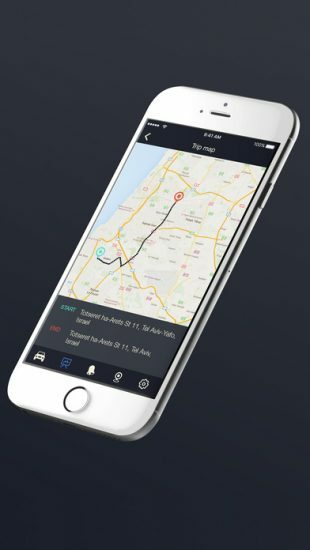 The Business plan includes a complete fleet management solution (the ability to track the vehicle’s location, its condition, and monitor the driver’s performance, as well as API access to integrate the platform with the internal systems). The Enterprise plan is tailored for insurers and auto dealers, and it provides data-based analytics and insights on request. 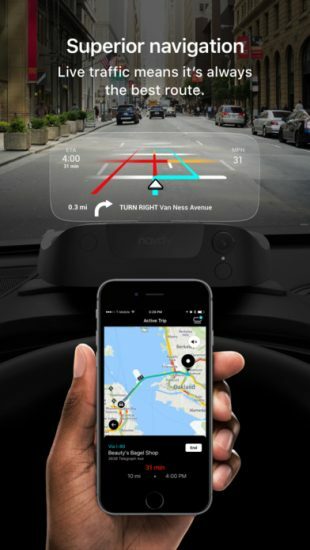 Product type: IoT, driving apps, driver-assist technology, and augmented reality. Key features: Gesture/voice control; basic phone features including calls, messages, music, notifications, and calendar; navigation and Google Maps search; car maintenance information including speed, RPM, and fuel level. Third-party integrations: None. 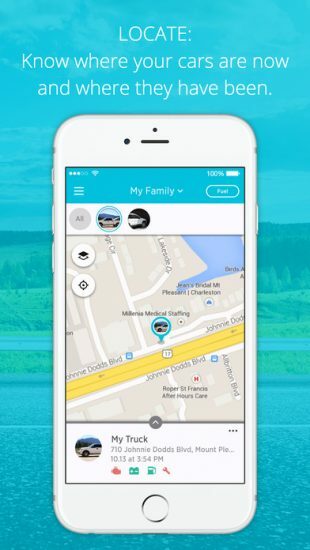 The app accesses basic features of your phone like Maps, Calls, Messages, Notifications, Music, etc. (via Apple Music, Pandora, and Spotify). App monetization model: No paid membership: Apps are free to use as soon as you buy the required hardware. 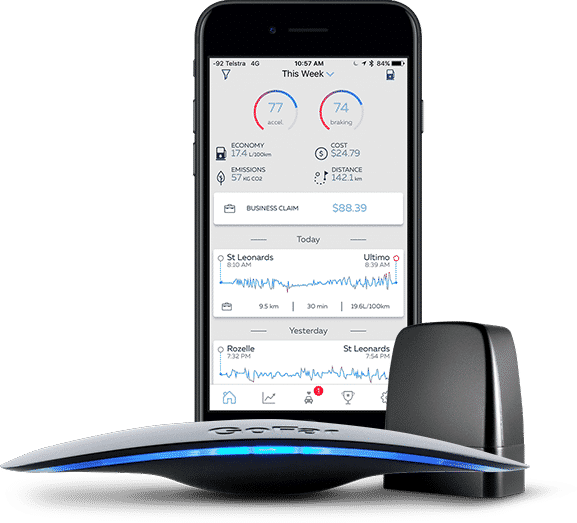 Key features: Automatically logs mileage for easy tax and expenses, economy display, speeding alerts, diagnostic alerts, real-time feedback to keep new drivers safe. App monetization model: App is free unlike hardware. 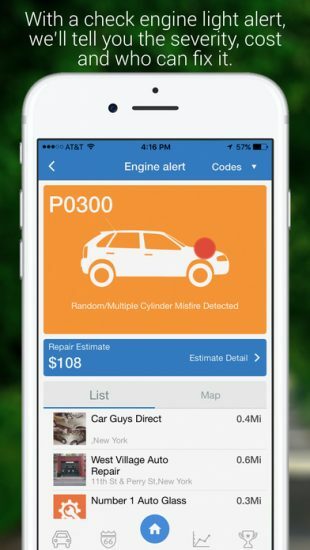 We at eastern Peak have successful hands-on experience building IoT car maintenance apps. One of such solutions, Cobra Code, was developed for the Israeli market. 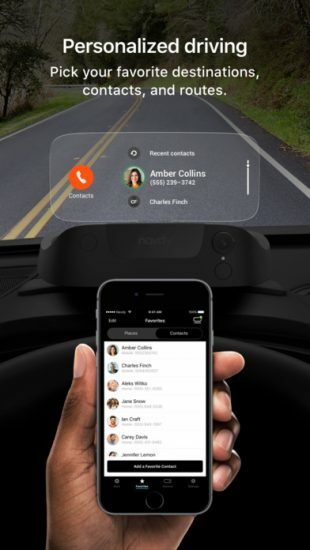 The product includes hardware device connected directly to the vehicle and accompanying software. 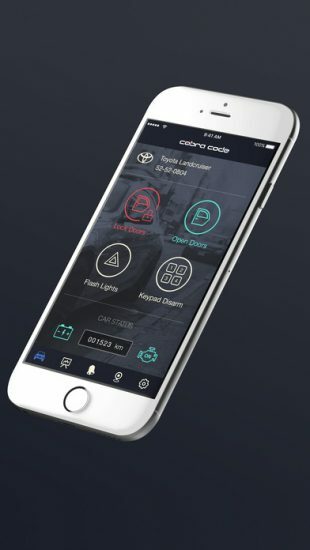 The automotive app provides the capabilities to control the basic operations of a car using a mobile device, such as the ability to open/lock the doors, disarm the keypad, and activate the emergency lights. 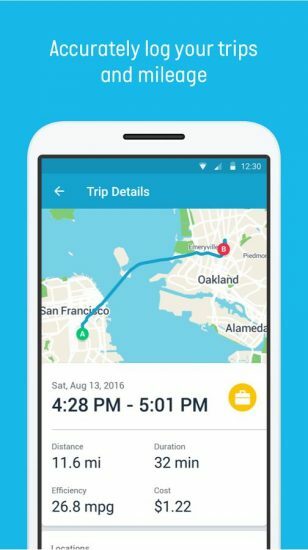 In addition to that, the product also gives the user access to completed trip reports, vehicle location, and notifications. The iOS app features verification by Touch ID or passcode. Working on the described solution from scratch, we at Eastern Peak can provide advice on some of the best practices for building automotive apps. Namely, there are several aspects to consider. When building custom car apps, the product specification stage is very important. First of all, you need to define which ideas fully meet your business requirements, which features will add a unique value or bring the highest ROI for your specific business in the long-term outlook. Discussing your view of the future product with developers directly helps you actually brainstorm development and business strategy challenges. Additionally, it will aid you in identifying possible technological limitations, and finalizing your requirements. Your project managers should be able to help you navigate the possible pitfalls, provide expert advice on how to better implement your vision, and find the most optimal solution for you. Getting your app development team engaged in the project during the early stages helps you create a better product. minimum distractions for the user. Thus, hiring a designer who has relevant experience is a must. 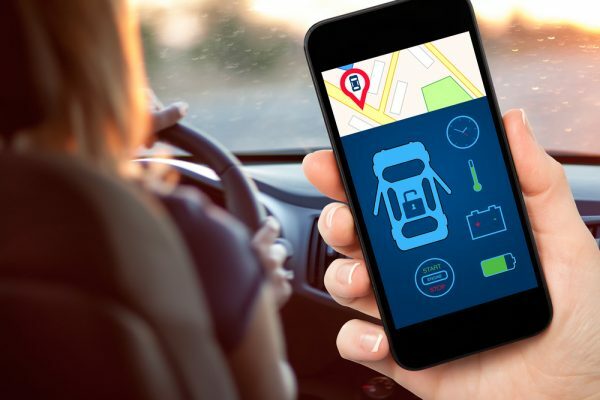 configure the communication between the Android/iOS app and the car application through different connection protocols (for apps designed to control the car from smart phones). Thus, the choice of your technology stack depends primarily on the target audience and the specifics of your product itself, be it an app for Android Auto/Apple, CarPlay/standalone, or a cross platform app. To make the right decision about the appropriate technology stack and product type, target audience research is required. Your development team will advise you on the pros and cons of each approach, depending on the functionality you want to implement. In addition to the great number of programming languages you can use, there are also third-party APIs you can integrate with or complete IoT platforms that can serve as a basis for your app. However, the latter might cause serious scalability problems down the road, requiring much more ongoing expenses than a custom solution built specifically for your business would. Take into account that building a scalable product requires more development time. However, it’s mandatory if you consider the future growth of your startup. At this stage, all the features are implemented in the code. The app should be thoroughly tested for all possible bugs and compatibility issues (this is especially important for hardware-software integration and accuracy). Thus, the most important thing here is to choose an experienced and reliable technology partner and let your team do the rest. At Eastern Peak we apply the Agile methodology to minimize the risks and speed up the development process. Side note: Building a simple iOS/Android app for car owners isn’t that difficult. Most developers will be able to handle such a project. However, creating an app that integrates with the car’s hardware directly or via third-party connected devices requires specific skills and niche expertise. 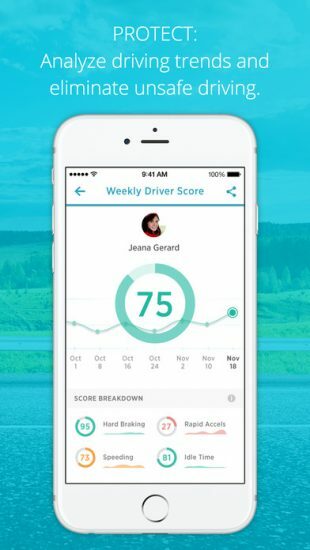 In this case you’ll need developers who have experience building such automotive apps, integrated with car’s control systems and on-board computers. The automotive market right now is in a state similar to where smartphones were back in 2010. The industry is just shaping up and we are still yet to see it take off. That is why right now might be the best chance for a business to enter this emerging market and capitalize on the opportunities it provides. We at Eastern Peak have the skills and relevant experience building complex solutions in the IoT in general and automotive sphere specifically. This makes us a go-to technology provider for both startups and enterprise companies looking for car maintenance app developers. To get professional advice on how to build your own automotive app, book a free consultation with our team today.